2 Bedroom Terraced House To Rent in Chesterfield for £550 per Calendar Month. AVAILABLE NOW, This 2 bedroomed mid terrace, providing spacious and modern living accomodation throughout. 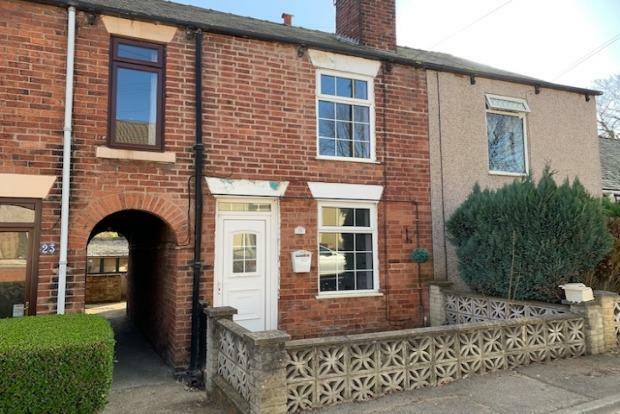 Situated close by to local amenities, and transport links, and just a short walk from chesterfield town center. - Front access direct into the living room. Tastefully decorated, with feature fireplace! - Small hallway leading through into the dining area, with large understairs storage cupboard and further feature fire place. - Open archway leads into the modern kitchen area, with integrated oven and hob with hood. space for appliances. Rear access leading to the garden. - Upstairs sees 2 large double bedrooms. - Master bedroom to the front of the property with built in storage cupboards. - Second bedroom to the rear with walk in wardrobe area. - Family bathroom is a 4 piece suite, with sink, toilet, bath and separate walk in shower. - Externally, there is a small patio area to the front, alley access to the rear with a further patio and lawned area. Outhouse available for storage.